Xtar's portable charger and DIY powerbank is now available! Use 1 or 2 of your own unprotected 18650s without the need to match cells or age. The PB2 is capable of charging and discharging cells individually so you don't have to worry about cell balancing. Max 2.1A USB output, fully charge iPhone 7 Plus in 2hrs. Protect our environment with replaceable batteries design, control the quality of the cells yourself and DIY the capacity of your mini power bank up to 7000mAh+. Battery charge & discharge balancing technology makes all of capacity available for use and increase each cell’s longevity. Conversion efficiency up to 92%. Hand-held portable charger with magnetic cover design, fast charge your USB devices and all kinds of cell phones anywhere anytime. Max real 2A x 1 / 1A x 2 charge current, fully charge 1x2500mAh 18650 in 1.5hrs or 2x2500mAh 18650 in 3hrs. 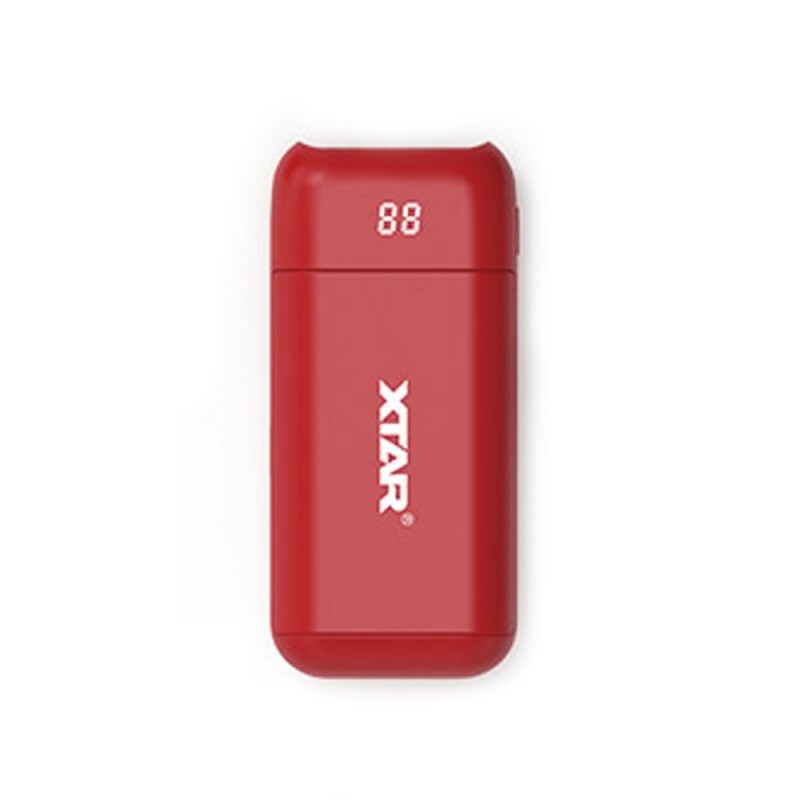 Equipped with all XTAR unique features like 0V Activation function revives over-discharged batteries, TC/CC/CV three-stage charging maximizes battery lifespan, multi-protections and so on. Only takes UNPROTECTED FLAT TOP 18650s due to length.